Knowing where to go and who to contact to start your business and then to develop the business can be a daunting task, that’s why Kinaway is developing a network of supporting businesses, software companies, government services and grants that’s are suited to our members businesses. So you don’t have to go searching! We understand that access to finance and capital can be one of the challenges for small business in the startup phase and in times of growth that’s why we are working with financial institutions to develop points for you to engage, and products that suit the life cycles of businesses. There will be more information about these services and products over the coming months. We want to link our members with opportunities to do business! That’s why we have created the Kinaway marketplace in addition we will also be holding networking events with the public and private sector at all levels to facilitate introductions. And we will work with members to facilitate introductions to meet with buyers. Kinaway are building networks and partnerships with organisations to open up opportunities for our members. Kinaway will have a public facing database of Aboriginal Businesses for Corporate and government buyers to access with Kinaway members electing to be part of the public facing database. 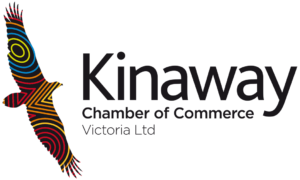 The Kinaway database will be the endorsed database for Aboriginal businesses in Victoria that will be accessed by buyers. Having a mentor to support and provide advice on running your business was recently cited by Ita Buttrose as one of the key elements of running a successful business. Kinaway will provide access to mentors who understand the Aboriginal business landscape and can walk with you in your business journey. Events to get you meeting with other Aboriginal business owners and opportunities to meet potential buyers. We are currently developing a schedule of events that will occur over the coming year. Make sure you sign up to our social media pages and our news feed to receive regular updates on products and services, events, and articles.